This Building a Village ​will be a little different than usual. 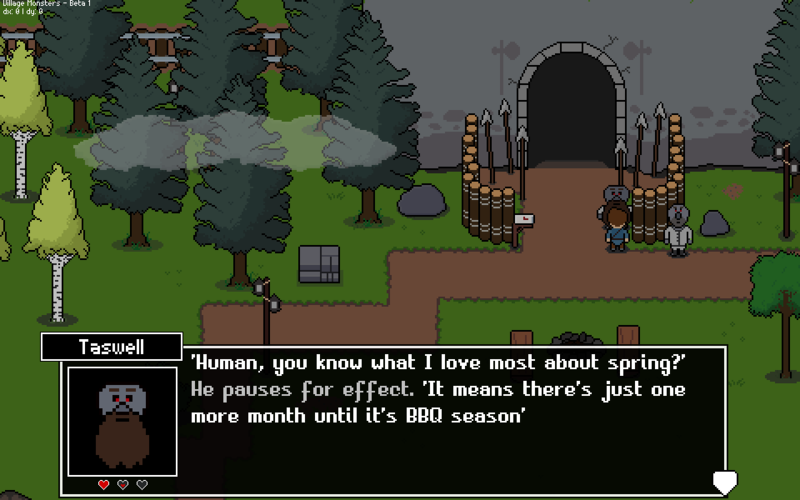 Instead of recapping the past week’s work, I want to do a deep dive on the single most important feature of Village Monsters – its dialogue system! Each kind of game values dialogue a little differently, but it’s the real bread-and-butter for a life sims like Village Monsters. Yet despite its importance, it’s often a double-edged sword that can end up doing more harm than good. When dialogue start falling apart – getting too repetitious, too predictable, or maybe even too generic – it is often a death sentence for life sims. After all, these are games that value building immersive relationships with NPCs, and there’s no quicker way to ruin that then to feel like you’re talking with a boring robot. There are certainly many ways to deal with this problem: some designers prefer having strict control over the script. Others may prefer using “adlib” style conversations to give the illusion of infinite content. For Village Monsters I wanted to try something new – and this post will talk about what I’ve done. We all play games for different reasons. For me, it’s always been an escape. My life isn’t so bad, but I love running away to some fantastical world where I can do and be anything. Even as an adult, (especially as an adult?) 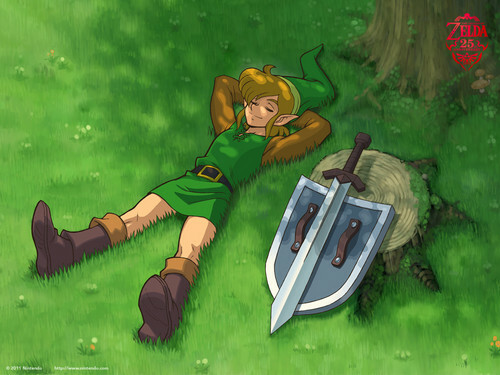 where my freedom is high, I still find myself fantasizing about game worlds. In fact, I’d go so far to say that I don’t even particularly care for games like Harvest Moon. Strong words, but stay with me here. As a certified LifeSim lover, I recognize that I should be more enamored with the Harvest Moons of the world. After all, Natsume has cranked out about a billion of them, Stardew Valley was a fantastic success, and people clearly like them. And yet they’ve always eluded me. In this post, I’m going to dig into why this is – as well as what it means for my game. Nothing is wrong with Harvest Moon or the Sims, and I can recognize them as fun games that scratch that escapism itch in many people. You wake up and immediately perform your daily chores related to your farm. It’s all rote stuff and is meant to be relaxing in its own way, but you’re always made aware of time passing and your energy meter depleting. Together, these promote – and in some cases, demand – efficiency over relaxation. You then make the rounds to talk to each NPC at least once. Maybe you try to level up relationships by giving them their daily gift. Maybe you grind materials for your new building. Whatever you do, it’s always another cycle of managing meters, checking boxes, and grinding for progress. I’d actually argue that there’s a surprising amount of pressure to the whole thing. 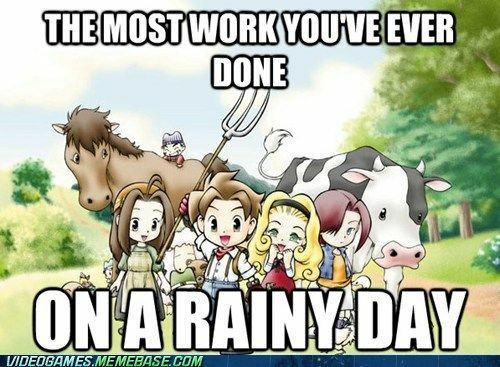 Have you ever had a ‘bad’ day in Harvest Moon games? It can feel terrible! Some players go so far as to restart saves in the name of efficiency or ‘re-rolling’ bad RNGs. I’m painting this in a negative light, but it’s not all bad. In many ways, the bread and butter of a Harvest Moon or Sims game is to take the habitual, routine parts of life and bottle it in a way that’s bite-sized and entertaining. To a many, it’s perfect – you get a sense of accomplishment with a fraction of the effort. You wake up and check your mail. You spend some time looking for fossils and seeing what’s new at the store. Maybe you talk to the villagers, run some errands, or spend all day creating pixel art. Maybe you do nothing at all. There are no meters, no pressure to do anything. You have goals, sure, but they’re always minor and there’s few, if any consequences. Your days can be as productive or lazy as you’d like. 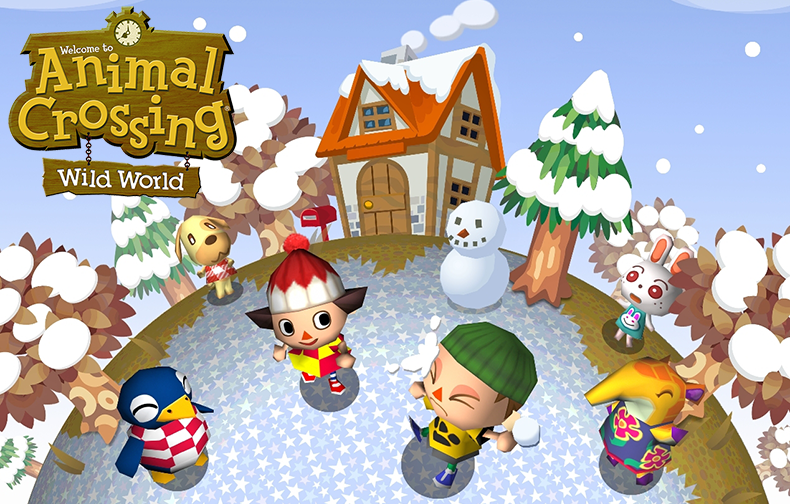 I’m not sure if all of this makes Animal Crossing the least game-y game or the most game-y game, but it works. It simulates a perfect Saturday: your free to spend it being as productive or efficient as you please, but there’s no rush or pressure. It’s carefree, relaxing, and completely at your speed. So what does this mean for WARP DOGS’ first game? In case it wasn’t clear before, let me be explicit: my game will fall into that Saturday Simulator model. There’s no deadlines. There are no energy or health or hunger meters. There will never be tasks or chores that must be done. Each day will be similar the one before it in a very key way: every day is Saturday. You can choose to be productive, you can choose to be lazy. Above all, I want you to feel relaxed. Carefree. One thing that will differ slightly is that I’m going to impose far fewer artificial restrictions to players’ progress than AC chooses to do. I understand the value in saving the player from themselves by drip-feeding them content, but it can also be a really transparent design restriction . I don’t want players to think I’m shaking my head disapprovingly if they want to grind their way through something. It’s a valid choice for some. I want a game that 29-year-old me would want to play after a bad day at work. I want a game that a kid wants to play after a bad day at school. I want a game that makes every day feel like Saturday.